Namibia mandarin orange spessartite garnet 2.32 cts. 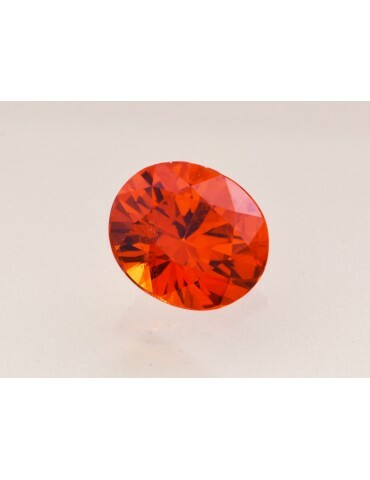 Notes: Nice mandarin orange spessartite garnet. The brilliance is off the charts thanks to a wonderful design. This stone has the light return of a round brilliant fit into an oval shape. 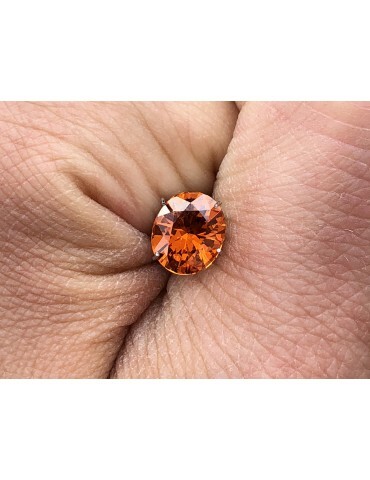 The clarity on this stone is good with difficulty being able to see very small inclusions by the naked eye. The color is strong and vibrant with a medium tone.